For other parishes in the Partnership, please refer to parish bulletins. The primary reason why the Catholic Church asks her members to confess their sins to a priest is simply because the Church has always believed that sin, however private, is a community affair. Every sin, however small, wounds the Body of Christ, the members of the Church. When any of its members sin, they all suffer. Moreover, because my sins wound the community and diminish its effectiveness, reconciliation must include the community and not just God. 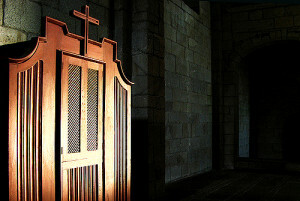 In the confessional, the priest is the representative of God and of the community. In the confessional, the priest represents the whole Christ, the Head (Jesus) and the members (the Church). If you follow this link, you will be directed to the Bishops Conference of England Wales website where they have several sections about Confession.